Sometimes family life can feel like a 3 ring circus—with Mom playing the parts of ringmaster, tightrope walker and lion tamer—and no matter how wonderful (and crazy!) 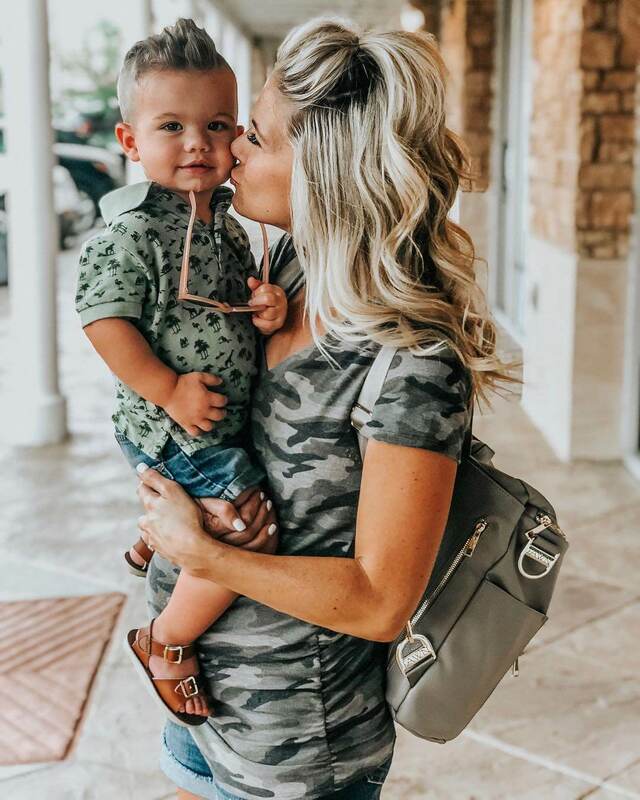 it all is, pretty much every mom could use a few tips on keeping it everything together, especially style-wise. Just because you’re doing school drop off, your full-time job, and then playground duty doesn’t mean you don’t want to look great, right? So read on for some tips to keep you fashionable, pulled together, and on time. Build a wardrobe of style workhorses that you can rely on day in and day out. Pieces that look great on you, and work with each other. An easy pull on pant (or a pair of jeans if you prefer), t-shirts or seasonless pullover sweaters, and a jacket you love (we love denim or a great blazer). With a wardrobe of basics at your side, you’re ready to go…almost. The third key to getting out the door in a stylish few minutes is accessories—the little things that take a classic outfit from good to “how does she always look so great?” Wardrobe add-ons like shoes, scarves, jewelry, bags and outerwear is where you get to express your style, your taste. You’ve got your color-coordinated wardrobe and your fab accessories. What else can you do to make sure your mornings go as smoothly as they can? Pull your outfit at night, right down to the shoes and underwear. Look for anything that needs a touch of ironing or polishing (do that at night, too), and set it aside in an easy-to-grab-from place for the morning. Go ahead and pull the kids’ clothes, too (more on that in a minute). One more time-saving tip: after dinner and before bed, set a timer for 10 minutes and have everyone pick up toys, hanging up clothes, and making sure completed homework is in backpacks. A lot of the tips that work for you can also work for getting the kids ready, including buying basics in a limited color palette. Want to save time on buying those basics? Sign your tykes up for Stitch Fix Kids and have clothes they’ll love handpicked and delivered right to your door, where they can be tried on in the comfort of home. Ready to try saving some time with Stitch Fix Kids? Go ahead and make your life a little bit less chaotic!